A business is not a business unless you give it a chance to grow. Development is fundamental and the means of achieving it are numerous. Still, you don’t want to look at all of them individually. There’s one thing connecting all the steps you need to take in order to improve your business- it’s called branding strategy. Branding strategy is crucial for the success of any business, no matter how big or small. The goal is to be better than your competitors and outsmart them and while drawing new customers and providing a great service to the existing ones. 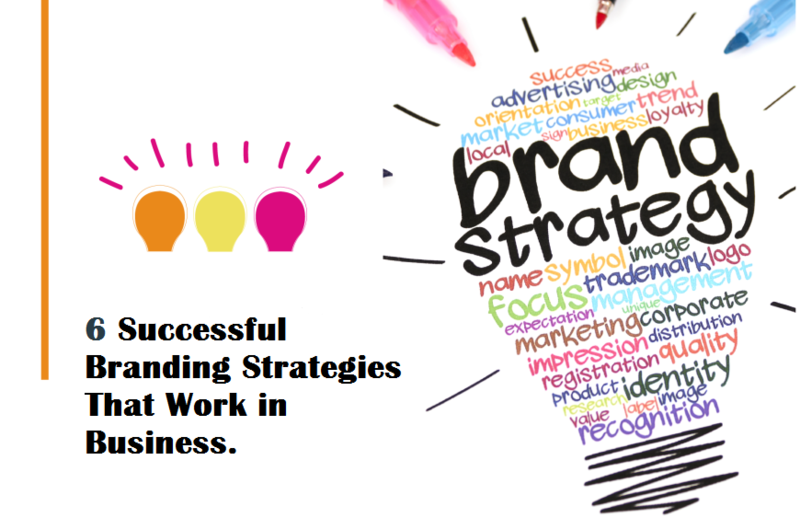 To help you do it, we’ve put together a list of successful branding strategies that work in business. We have to start from scratch. Before looking into concrete branding strategies, we need to understand what exactly they stand for. A branding strategy is a long-term plan you have for your company. It includes defining your brand identity, goals in business and the combination of all factor which make your company what it is. It is almost like an X factor- you can’t pin it down, but you know it’s there and you know you need to have it in order to grow. Take a look at the steps you need to take in order to make your company recognizable and successful. Let’s start with the obvious: selling your product is what you strive to do. But, it’s not your mission. Your mission is about your clients and customers. It’s about what you offer to them and how you make their lives better. Here’s how Samsung defines their mission: “Inspire the world with our innovative technologies, product, and design that enrich people’s lives and contribute to social prosperity by creating a new future.” Now, that’s a mission! Define your vision and purpose in the world with the people in mind. How are you making their lives better? Think about style as giving your brand a voice or even making it a real person. What is he like? Or is it a she? Is he funny? Poised? Serious? Look at M & Ms. Their brand is colorful, upbeat, funny, cheerful and simply happy! They use vibrant colors and humorous advertising. This is the style they chose, and they stick to it. That brings us to style consistency. Once you define your voice, make sure to nurture it. Show voice consistency in your adds, social media posts, brand image and everything that comes along. 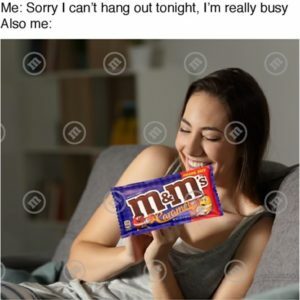 To put it simply: M & M’s posts funny memes on their Facebook. Samsung doesn’t. The business world is full of rivalry. There’s Coke vs. Pepsi, McDonald’s vs. Burger King, Apple vs. Microsoft and many more branding wars going on. In order to be the best, you need to know who to beat. •	What do they offer? •	How are they threatening you? •	What is their brand identity? •	What is their style? Once you gather all the information, you’re ready to fight. Build your strategy with the competition in mind, not around it. Show your uniqueness and maintain your image, while paying close attention to their moves. Be ready to strike back, if they give you a reason to. There’s no way you can even think about successfully building your brand if you don’t have all the major social media covered. There’s a lot of writing on social media, so make sure you keep it professional all the way. If you want to avoid any mistakes, typos or oversights in your written content, you can try online writing services such as Rewarded Essays, Supreme Dissertations, Grab My Essay, Rated By Students or Hot Essay Service. They can edit, proofread and even rewrite your content if necessary, to ensure maximum accuracy. There are people out there who might be huge fans of your brand. Reach out to them, and find a way to thank them. Try responding to kind words as much as you can. People love when they hear back directly from their favorite brand. Be responsive, and thank them. It will make them love you even more. Reward your loyal fans by giving out some of your latest products. They deserve it. For your most faithful customers, you need to come up with privileges such as discounts, pre-ordering of your newest products, coupons etc. They need to know you are thankful for their loyalty. Do whatever you can to let your customers know you’re thinking about them. This will create an emotional bond between you and then you have them for life. Investing in your customer service is a must. There’s nothing worse than having a bad experience with your favorite brand’s customer service and vice versa. If you have professional, attentive and efficient people managing your customer service department, you have nothing to worry about. If you don’t, do something about it, before it’s too late. The business world is like a tank full of sharks. Either you become a shark, or you get eaten by one. In other words, you have to be the one to beat. Having a successful branding strategy is one way to do it. We’ve given you some pretty useful and efficient strategies you can employ immediately. So, don’t waste any time and get to work. Define your goals, determine your style, take care of your customers and watch your business grow!